December | 2009 | Expecto Patronum! Wow. I’ve just been reading up on the Potter fanwars that have taken place over the past decade. Apparently, there’s been some serious craziness among various character factions. (I have to admit my favorite bizarro concept, because it’s just so bizarre, is the snapewives.) At any rate, reading up on the fanwars helped me understand something I’ve seen on Snape sites – the hostility to JKR and Dumbledore. Apparently, some people want a woobie. And Snape is not written, or treated, as a woobie. So, let me talk about where I’m coming from. I did Ph.D. work in literature at UCLA. That doesn’t make my insights better than anybody else’s. (Actually, there’s some great stuff being written out there by people who were probably not insane enough to study for a Ph.D.). I’m mentioning it because one of the first things you learn to do in literary criticism is look at the text, then at the author. To my blunt American mind, “deeply horrible” means a character beyond all hope of redemption. Rotten to the core. To her British mind, it may mean something more nuanced. I think, certainly, the text in the first six books supports the possibility that Snape will turn out rotten, and Rowling clearly needed to protect that possible outcome. But the text of Deathly Hallows, with its story of Snape’s true loyalties and sacrifices, does not support the notion that there is nothing redemptive about him. That would be Voldemort. Snape is instead a deeply flawed person. A deeply horrible teacher. A deeply frustrating and infuriating person. A sometimes horrible person. But he’s not a deeply horrible person. If he were, then he could not have warranted Albus Dumbledore’s trust… and there would be no question of naming a child Albus Severus Potter. Unless, of course, “deeply horrible” is just a more British way of phrasing exactly what I just said about Snape’s character. I’m still trying to process what I’ve just read, and I’m still not entirely sure what to make of Snape’s Avada Kedavra. Despite the explanation Snape is given, it’s clear that in Dumbledore’s mind, the killing is part of a larger military strategy. Rowling has said that Dumbledore is somewhat Machiavellian, pulling strings. I would say rather that he is a military general, making hard choices in order to win a war that absolutely must be won. And this brings in the whole question of what is morally acceptable under such circumstances. For starters, let’s dismiss the idea that this is really a mercy killing. It’s not. Would the man who is willing to drink 10 cups of potion in the cave be afraid of pain and humiliation? I don’t think so. Rather, when he finds out he has only one year left regardless of the outcome of Draco’s plan, he decides that the best course of action is not to fight Draco and the Death Eaters but to plan the strategy for his death. Dumbledore merely uses the “just do me a favor and don’t let it be the werewolf or Bellatrix” argument because he thinks it’s the safest way to ensure Snape’s compliance. But he underestimates Snape. Snape is worried about his own soul. He rebels at the prospect of killing Dumbledore as the time comes closer, and “Spare me pain and humiliation” becomes an insufficient argument for doing the deed. Snape would apparently prefer to die himself when the Unbreakable Vow rebounds on him than have to kill Dumbledore. So what tactic does Dumbledore use to win Snape over? He lets him in on part of the strategy behind the endgame. Dumbledore can’t reveal the Elder Wand (or the Horcrux) aspects of the strategy to Snape in case Voldemort is somehow able to break through Snape’s mental defenses. But he believes that he can reveal the final plan for Harry. I don’t believe for a second that Snape goes along with the plan because it will hasten Harry’s death. He’s visibly horrified at the prospect. What I do think happens is that he finally realizes that this war is a lot bigger than Lily, and that he’s not the only soldier being asked to make terrible sacrifices. 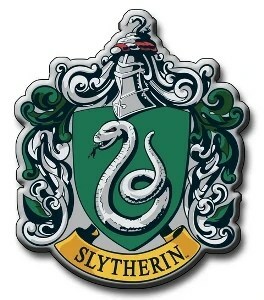 Even Lily’s son – presumably the Headmaster’s favorite – will be asked to lay down his life when the time comes. This would seem to be the moment when Snape begins to think strategically, looking at the bigger picture, rather than just be consumed with his own grief. He doesn’t know Dumbledore’s full plan, but he apparently assumes that the Headmaster’s death must be part of it – just as Harry’s death and his own role as a double agent must be part of it. I think in the end he kills Dumbledore because he trusts that it is necessary to do so in order to defeat Voldemort. 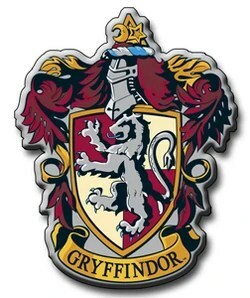 When Neville tries to steal the sword of Gryffindor, what punishment does Snape give him? He sends him into the Forbidden Forest with Hagrid. No Cruciatus curse. No torture devices from Filch. Just a mildly frightening field trip. In the battle over Little Whinging, when the Death Eater in front of Snape is about to cast an Avada Kedavra at Lupin, Snape aims a Sectumsempra at the Death Eater’s wand hand. It misses. It hits George in the ear. But it does save Lupin’s life. Snape nearly blows his cover in order to save the life of one of James Potter’s friends. And do you think Snape is not aware that Neville is reorganizing Dumbledore’s Army and using the Room of Requirement to escape the wrath of the Carrows? Of course he knows. Yet he allows it to take place right under the Carrows’ noses. And that Patronus he casts in the Forest of Dean? That powerful corporeal doe that Harry recognizes as benign? Do you think that a man with recent murder on his soul could cast such a thing, given that the Patronus is a reflection of the caster’s soul? Snape killed Dumbledore, yes, but the text appears to argue that he did not commit murder in doing so. It was not done for selfish reasons or with malice aforethought. Rather, he was a soldier fulfilling a crucial mission that resulted in a death. It was not the death of an enemy, but it was a death by consent that was strategically important in order to win a war with satanic evil. Killing Albus Dumbledore did not rip Snape’s soul. Mark Shea has a very interesting article dealing with the Avada Kedavra and the failure of Dumbledore’s strategy. Actually, I would argue that only part of Dumbledore’s strategy fails – the part involving the Elder Wand. The rest of the strategy succeeds, and in fact Dumbledore’s death may even have provided protection for Draco, Severus, and Harry akin to the protection afforded Harry by his mother’s sacrifice, and to the Hogwarts defenders by Harry’s sacrifice. Severus Snape is killed by a snake, not a curse, so it’s hard to know what effect Dumbledore’s death might have had against the Killing Curse. But the fact that Snape’s soul appears to rebound in his final year tells me that Dumbledore’s death should be viewed as a sacrifice that had some efficacious effect, not an assisted suicide that marred the souls of the two plotters. And this opens up a whole slew of questions concerning wartime morality and what is and is not justified. It is acceptable to kill the enemy during time of war. But is killing a commanding officer on his orders in the line of duty for strategic reasons ever morally acceptable? And if so, is it morally acceptable to do so with the incomplete and somewhat inaccurate strategic explanation Snape is given? (ie. Save Draco and don’t let me get eaten or crucio’d) – or does the soldier need to understand the “why” of the order? Is this a form of consequentialism? Is Rowling’s thinking muddied and muddled on these issues? Even if the killing is evil, I think Catholic readers like myself can legitimately believe that Snape does not commit mortal sin in fulfilling Dumbledore’s orders. Why? Because he is not making a free choice to participate in moral evil. He’s trying to do what’s right in confusing circumstances. Snape’s intractable bitterness is ultimately of more concern to the state of his soul. Of course, not being a moral theologian, I am open to correction on this point. Back to the question of Snape’s Lily “obsession.” I think a lot of people read this through the lense of 21st century mass media understandings of love and obsession. 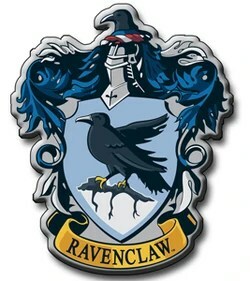 I find it more likely that Rowling is looking at it through certain Medieval understandings of courtly love – particularly the type of courtly love in which the object of affection is completely unattainable, possibly dead (a la Dante’s Beatrice), and is a type of the Blessed Virgin Mary. On the night Snape begs Dumbledore to protect Lily, his motivation is utterly selfish. He wants her. He doesn’t care who dies (except her of course). And Dumbledore is rightly disgusted. But then something happens. Lily dies. And as Snape grieves, Dumbledore drags the former Death Eater to the next level of love. He invokes a love for Lily that transcends romantic involvement, asking Severus if he truly loved her (i.e. if he wasn’t just infatuated over her or lusting over her). He invokes a more pure and more selfless love than the crazy, selfish, murderous “love” that first brought Snape to him. Snape’s initial embrace of protecting Lily’s son – for the sake of this purer love – is halting and resentful. In fact, he’s still struggling with it on the night he kills Dumbledore and in his grief in the House of Black rips the Potter family picture in two and takes the part with Lily. (Harry, the boy he’s been protecting all these years, did just call him “coward”). Despite his struggles, moving toward a more selfless love does keep Snape from throwing away his own life (he wanted to die, remember, when Lily died? ), and it gives him a chance to channel his energies toward the good. A lot of people seem to assume that the Snape of November 1981 speaks for Snape of of all time – i.e., that he’s a static character who never grows. But I personally don’t think we should read too much into the anguish of a 21 year old man who has just lost the only person who has ever meant anything to him. I also don’t think we should read too much into the anger of a 36-37 year old man who has just learned that Dumbledore has been keeping Lily’s son alive in order to fulfill what the headmaster sees as a necessary sacrifice. Snape ultimately accepts even that mission though, assuming that Dumbledore must know what he’s doing, all without knowing that Lily’s son will become the master of death. Based on my reading, I think it’s clear that Snape comes to care more about Harry than he dares admit either to himself or Dumbledore. On the night when Snape casts the Avada Kedavra on Dumbledore, he parries all of Harry’s attempts at Unforgivable Curses before Harry can complete them. Even in the heat of battle, he tells Harry not to use Unforgivable Curses – partly taunt, but also partly an attempt to keep Harry’s soul undamaged. Even telling Harry that he, Snape, is the Half-Blood Prince is only partly vanity. The other part is a warning to stay away from dark magic. So my contention is that Snape gradually grows, gradually changes. He can’t change much on the outside because that would tip his hand and make it impossible to fulfill his role as a double agent. And yes, he has a lot of pent-up resentment towards James that spills over into his treatment of Harry. But by the time he dies, he is performing his duty for motivations that could not come solely from a twisted inappropriate love. And note her name. The lily, in the Western tradition, is the symbol of chastity and purity. It is the symbol of the Blessed Virgin Mary. And the Blessed Virgin Mary is the ultimate symbol behind the courtly love tradition. 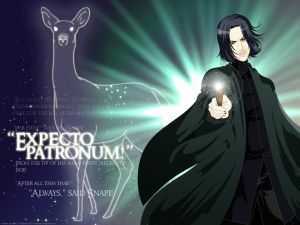 The doe Patronus IMO shows how far his soul has been repaired from his days as a Death Eater. The doe is a symbol of gentleness, purity of purpose, walking in the light. It was hers. But it has now become his.